Police are advising all drivers to avoid the A27 in the Shoreham area for rest of today, Saturday (22 August)) following the aircraft crash. 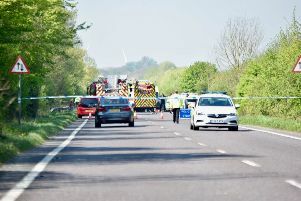 At about 1.20pm the aircraft hit several cars on the A27 just to the north of Shoreham Airport, where an air display is taking place. The aircraft ended up in a bush. Police say there have been several casulties but we have no further infromation on these at the moment. The A27 has been closed n both directions and drivers are asked to avoid the area until further notice.